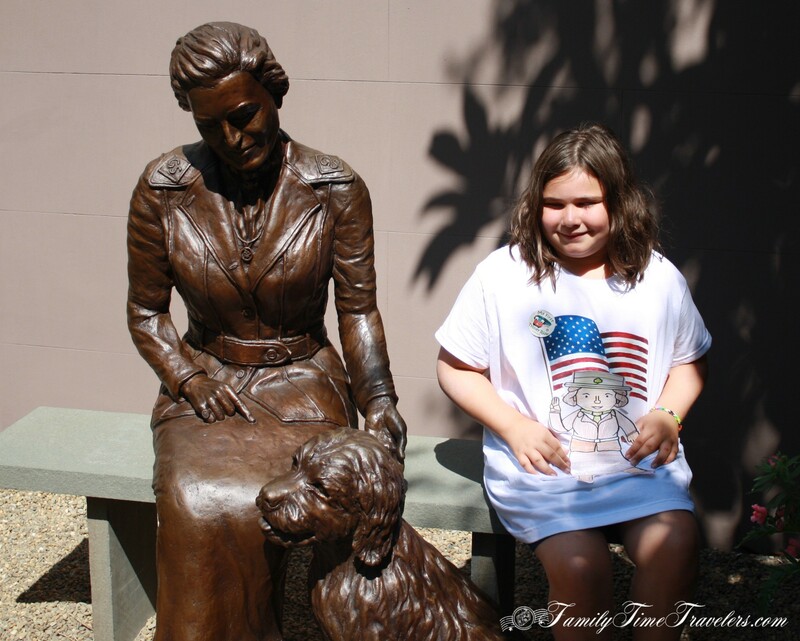 On our journey to Savannah, my daughter who is a Brownie in the Girl Scouts, was so excited to visit the Juliette Gordon Low Birthplace and to get her pin and patch for her uniform. 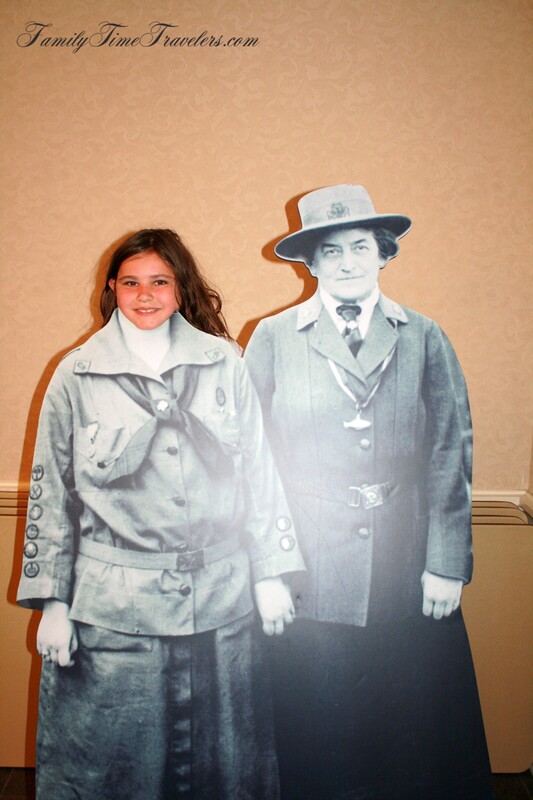 I was a Brownie as well for a short time in childhood and it was a great lesson in the history of Juliette Gordon Low, Savannah, and the Girl Scouts. Her home can be easily accessed from the Trolley tours that go through the historical district of Savannah. 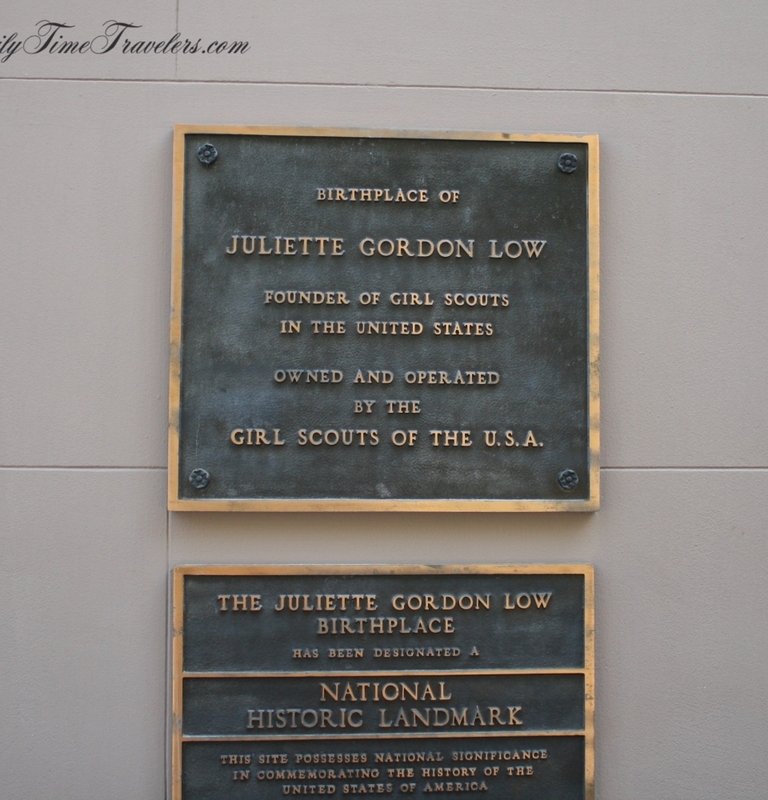 Juliette Gordon Low is most famously known as the founder of the Girl Scouts of the USA. 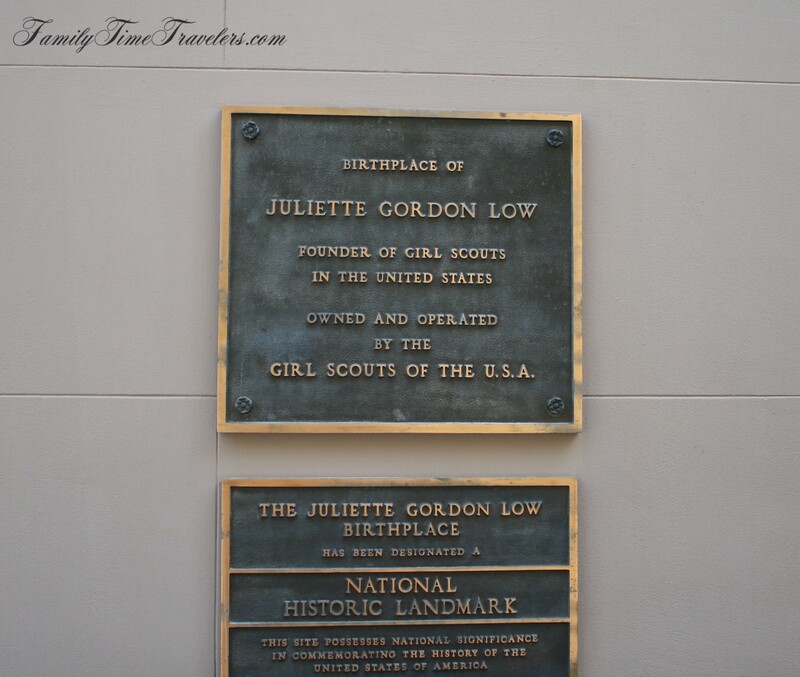 Her childhood home is located in the Juliette Gordon Low Historic District in Savannah, GA. The home is also known as the Wayne-Gordon House. It is currently owned by the Girl Scouts of the USA. 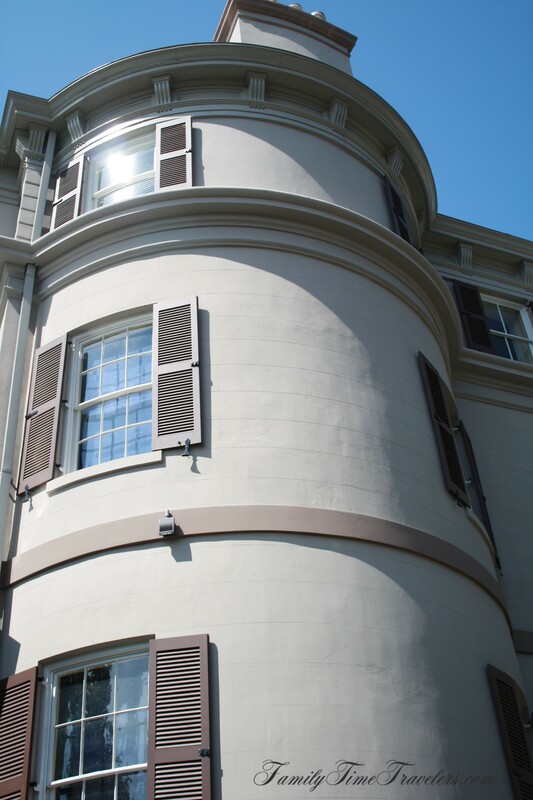 The home was constructed between 1818 and 1821 for the mayor of Savannah, James Moore Wayne. The majority of homes in the Savannah area were constructed in much the same way and known as “Savannah Boxes”. The differences between the homes were in the finishes inside. When Mr. Wayne was appointed to the US Supreme Court in 1831, he sold the home to his niece Sarah Sites Gordon, who was married to William Washington Gordon I. Sarah and William were the first generation of Gordons to live in the house and were Juliette’s grandparents. In 1886, Juliette’s parents, William Washington Gordon II and Eleanor Kinzie Gordon made major changes to the home by adding the fourth floor and the side piazza. This process was a large-scale renovation that had several setbacks. First, the original contractor in charge of the project died shortly after it began. The family had a difficult time finding anyone to take over the work which furthered the delay. Second, an earthquake hit the Savannah and Charleston areas in August of that year which consisted of several aftershocks. The earthquake not only damaged the areas under construction but also damaged the plaster and stucco on the original areas of the home. The family lived in only 3 rooms of the home while all the damage was repaired. During this construction phase, Juliette announced her wedding and her desire to hold the reception at the home. When William and Eleanor passed away in 1912 and 1917 respectively, their son Gordon wanted to live in the home. George Arthur Gordon was the youngest son of William and Eleanor. Changes were also made to the home during this time including enclosing the piazza with screening, converting the stable in to commercial space, and one of the gardens was converted into a playground for the Sunshine Day School which was run by his daughter Mary Stuart Gordon Platt. In 1942, during World War II, housing was needed for military workers that were in the Savannah area. The decision was made due to finances and patriotic reasons to subdivide the home into 4 apartments. The division of the home was done in a way to ensure it could be restored back to a single family home at a later time and to keep as many of the architectural features of the home in tact. The Gordon family lived in one apartment and rented the remaining 3 apartments. The Girl Scouts of the US purchased the home in 1953 and restored the home to its original 1880 Victorian state. The home opened as a museum in 1956. The home was designated as the first National Historic Landmark in Savannah in 1965 on the National Register of Historic Places. Family members still reside in the Savannah area and have been known to drop by the home and use the home for special occasions. In touring the home today, you notice the home itself is very much like a 4 square. Today you enter the home on the basement level which houses a store and some meeting space. However, when the home was being used the basement housed the kitchen, laundry, household offices, servant quarters, and pantries. As you ascend up the first set of stairs, you arrive on the main floor of the home with a large entry hall. On this floor you also have the 2 parlors, dining room, reception room, and butlers pantry. The reception room was converted into a library and was also used as a schooling room. It is said that it once housed a trap door in the floor. The house today is restored with furniture typical of the period, including many pieces from the Gordon family as well as family memorabilia. The most noticeable feature of the home is the staircase. The wood railing is grand and beckons a child to climb on and slide down! That is highly discouraged during the tour which takes you up this beautiful staircase to the bedroom floor of the home which has four bedrooms with dressing rooms, a grand hallway, and there were possibly two bedroom passageways at one time. On the bedroom floor, you also see the bathrooms added during the major renovation phase prior to Juliette’s marriage. The final and top floor of the home had 2 servant quarters and today houses offices for the Girl Scouts of the US. The original outbuildings of the home consisted of a stable, at least 3 one room servant quarters, and a privy. The servant quarters and privy were located between the brick garden wall and the location of the carriage house. Today, the gardens consist of ironwork art that Juliette created and a statue of Juliette sitting on a park bench. Girl Scouts that visit the home can have a pinning ceremony in the garden once they complete their tour. Unfortunately, pictures inside the home are not allowed. However, the official website has many great photos of the various rooms in the home as well as the construction plans of the home. The site is a wealth of information including preservation of the historic home. I would highly recommend checking it out while you are learning about the history of the home. Built between 1818 and 1821 for the Mayor of Savannah, James Moore Wayne as a typical Savannah box home. Wayne sold the home in 1831 to his niece, Sarah Gordon and her husband William, Juliette’s Grandparents when he was appointed to the US Supreme Court. 1886, Juliette’s parents, William and Eleanor, made major renovations to the home prior to Juliette’s wedding. The renovation construction was delayed due to the death of the contractor and damage from an earthquake. George Gordon lived in the home last and made some additional construction changes including enclosing the piazza and turning the stable into commercial space. 1942, the home was sectioned into apartments during WWII to house military workers. The Gordon’s lived in one of the 4 apartments during WWII. 1953, the home was purchased by the Girl Scouts of the US and restored. 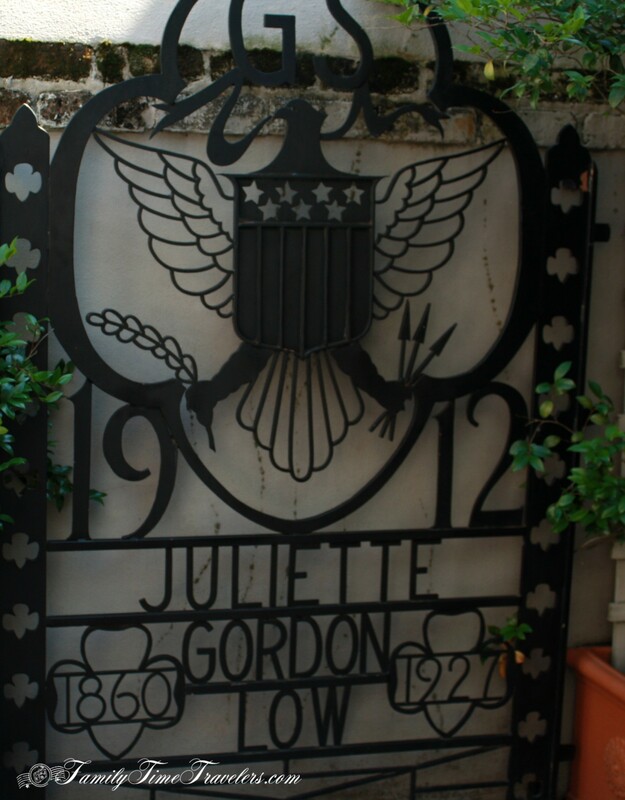 1956, the home was opened as a museum by the Girl Scouts of the US and included furniture from the Gordon’s and many pieces of Juliette’s artwork. 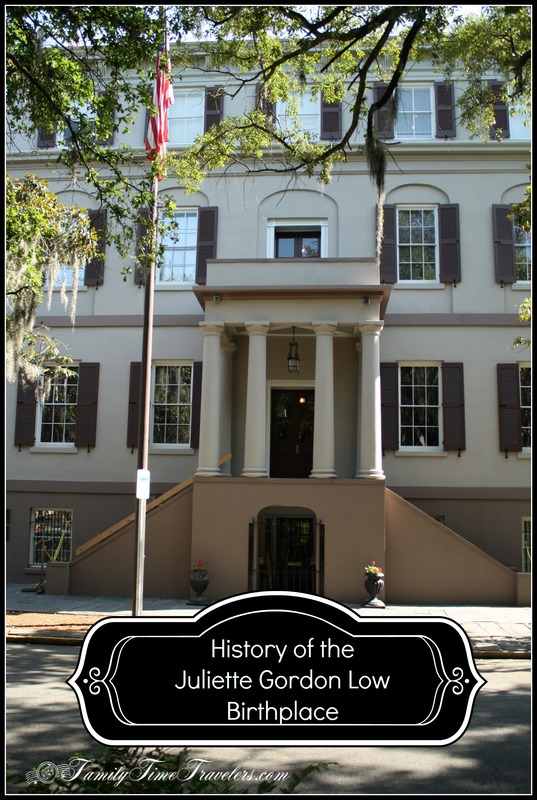 1965, designated as a the first National Historic Landmark in Savannah on the National Register of Historic Places. The Reception Room is said to have had a trapdoor in the floor at one point! Today, the home can be reached via any of the Trolley Tours that go through the Savannah Historic District and is often toured by Girl Scout troops and school groups. This entry was posted in Destinations, Georgia, Savannah and tagged Savannah. Bookmark the permalink. As you enter the front door of the Pirates’ House Restaurant in Savannah, GA, you step back in time. The multiple dining rooms bring you back to the times of seafarers and pirates, eating, drinking, and at times waking up out to sea on a ship without knowing how they got there! 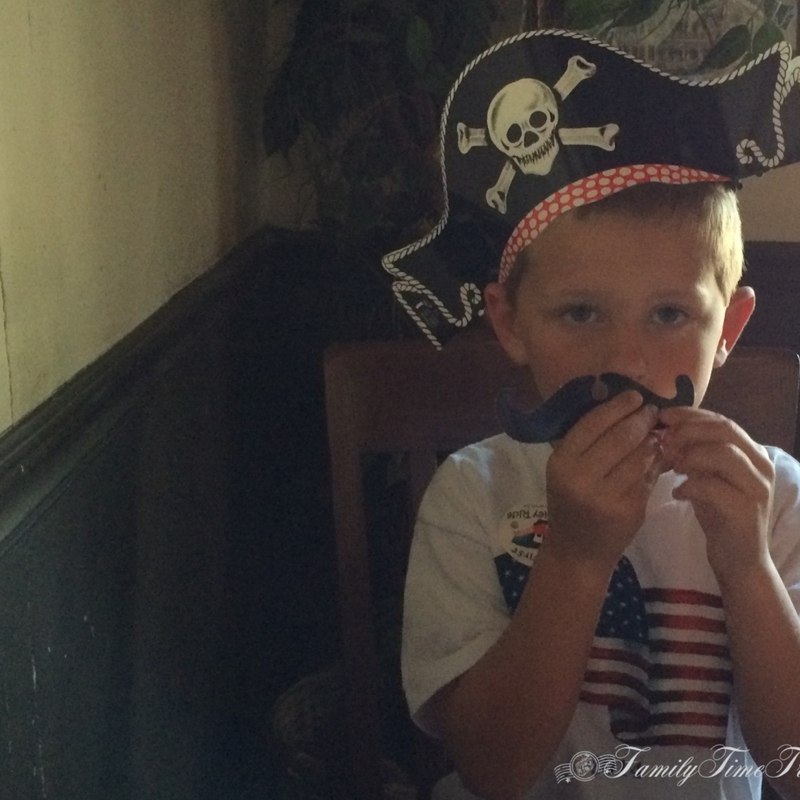 All of this history can be experienced while you dine on southern cuisine at the Pirates’ House Restaurant. 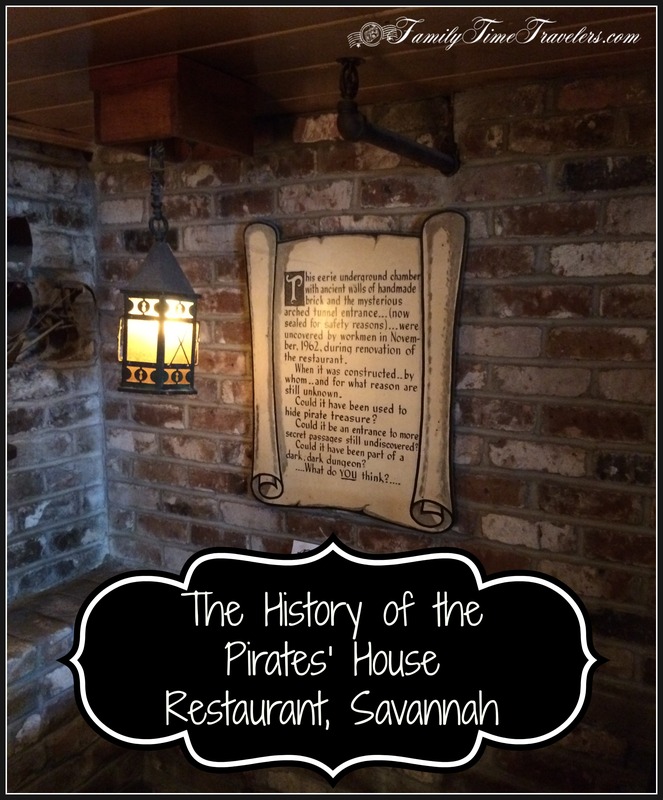 The history of this famous restaurant began in 1733 when General Oglethorpe and the colonists arrived in what is now known as Savannah. The idea for an experimental garden was put into action on the plot adjacent to the current restaurant structure. The garden was an attempt to grow all types of plants from around the world to see what would grow in the new area. It was modeled after the famous Chelsea Botanical Garden in London, England and named the Trustees’ Garden. Everything from fruit trees, vine cuttings, herbs, spices, cotton, and hemp were just some of the crops they tried to grow. Not everything would grow, especially the grapes to produce wine and the Mulberry trees to produce silk. However, it was from this very garden that the peach trees that Georgia and South Carolina are so well-known for were distributed as well as a type of cotton crop. The small house that is adjacent to the restaurant was built-in 1734 and was for the caretaker or gardener of the Trustees’ Garden. It is known as The Herb House. It is one of the oldest houses in the State of Georgia, if not the oldest. The experimental garden however, only lasted about 20 years until 1753 when it was determined it was no longer needed. The garden site and surrounding land became a residential area. One of the first residential type buildings constructed on this available land was an Inn for those seaman visiting the area. The second floor hosted the rooms and the first floor hosted a tavern for sailors visiting from abroad. The reputation of the restaurant was of a place to be avoided. It hosted pirates and drunken sailors, some who went missing from the tavern, never to be heard of again! Savannah is known for having an extensive underground tunnel system. The true use of the tunnel system has many origins. Some of the tunnels were built during the yellow fever endemic to conceal the bodies of the dead. Other portions of the tunnels are said to have been used as part of the Underground Railroad. Some areas of the tunnels, under the hospital, were said to have been used as a morgue. 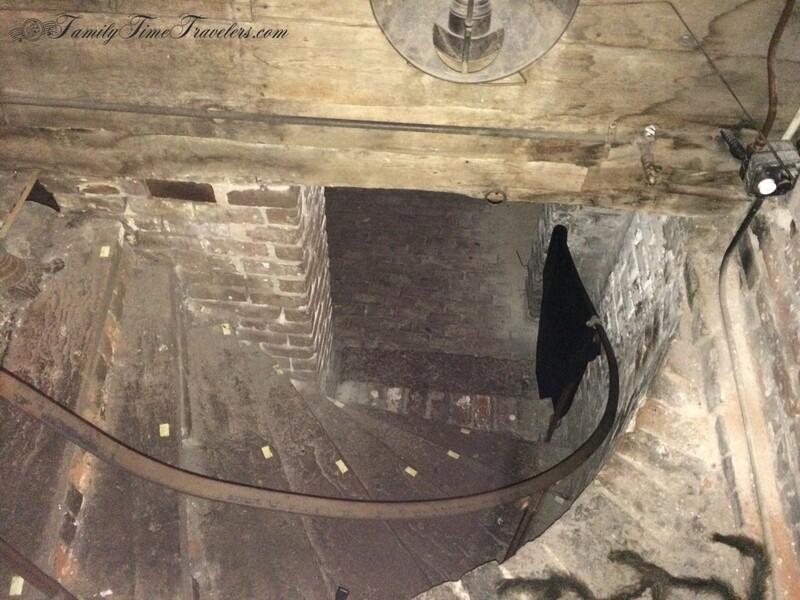 The tunnels under the Pirates’ House is said to have a more criminal use. Legends have it that captains needing men for their ships would watch sailors drinking at the tavern. Once the sailor was drunk, they would be hit over the head and knocked unconscious. The sailor would then be taken through the tunnel to the port and wake up on a ship out to sea! This fate, though enslaved on a ship, is much better than the torture and murders that have been rumoured to occur in the cellar of the Pirate’s House. Some say that trap doors were installed in the tavern floor. Drunken sailors were chained and then dropped through the doors. If they sustained injury and were no longer “fit” for working, they were killed. Those fit to work were taken off to ships! In 1948, the Pirates’ House and the surrounding land became the property of The Savannah Gas Company. The building was taken under the wing of Mrs. Hansell Hilyer who happened to be the wife of the president of The Savannah Gas Company. 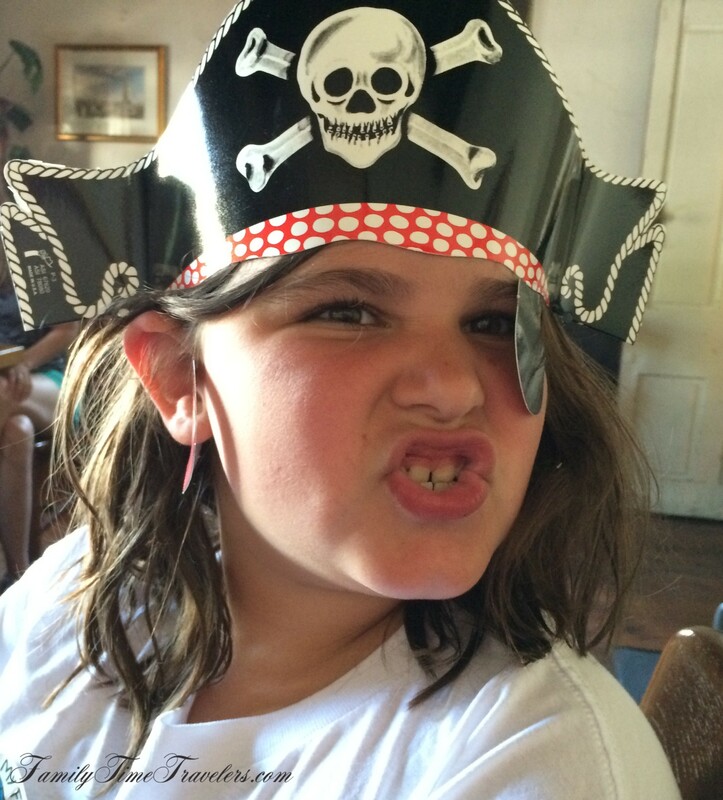 She transformed the buildings into what is today the Pirates’ House Restaurant. The restaurant consists of 15 different dining rooms, all very different, and serves a variety of southern cuisine. The entrances to the tunnels are still visible within the restaurant and give it a wonderfully spooky vibe! James Oglethorpe and the early colonists established the Trustees’ Garden on the site in 1733. The garden was modeled after the famous Chelsea Botanical Garden in London, England. The First structure, the Gardener’s Home known as The Herb House, was built-in 1734. Peaches and Cotton were two important crops that came from this experimental garden. Garden abandoned in 1753 and the area was turned into a residential area. 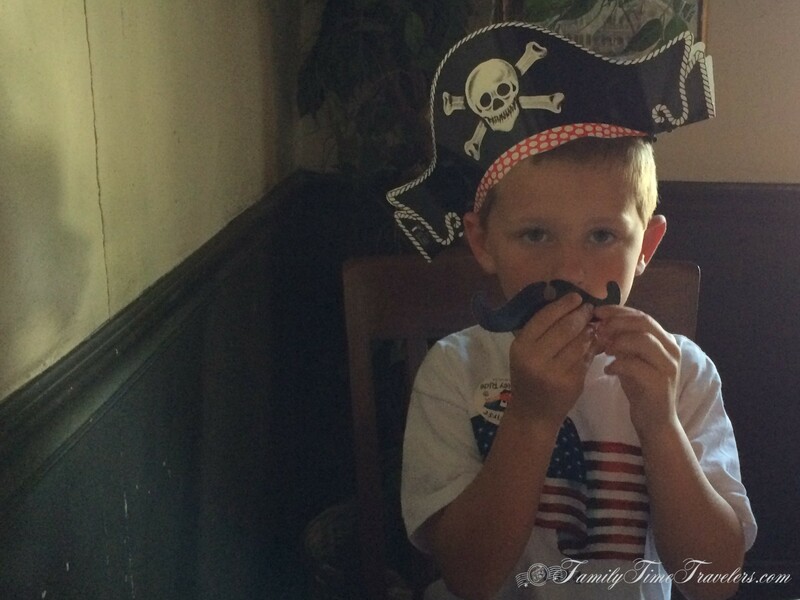 The Inn that is now known as the Pirates’ House Restaurant was opened in 1753 with a tavern for sailors and pirates! Drunken sailors often went missing from the tavern only to wake up enslaved on a ship out to sea. Part of Savannah’s extensive tunnel system runs underneath the restaurant and takes you to the port. 1948 the buildings were turned into what is now known as the Pirates’ House Restaurant by Mrs. Hansell Hilyer. 15 Dining rooms make up the restaurant that serves a variety of southern cuisine. Let’s have some fun! We have some great activity sheets for children to help reinforce the facts above. Check out our Kids Activities page! This entry was posted in Destinations, Georgia, Restaurants, Savannah, Treasures and tagged Savannah. Bookmark the permalink.